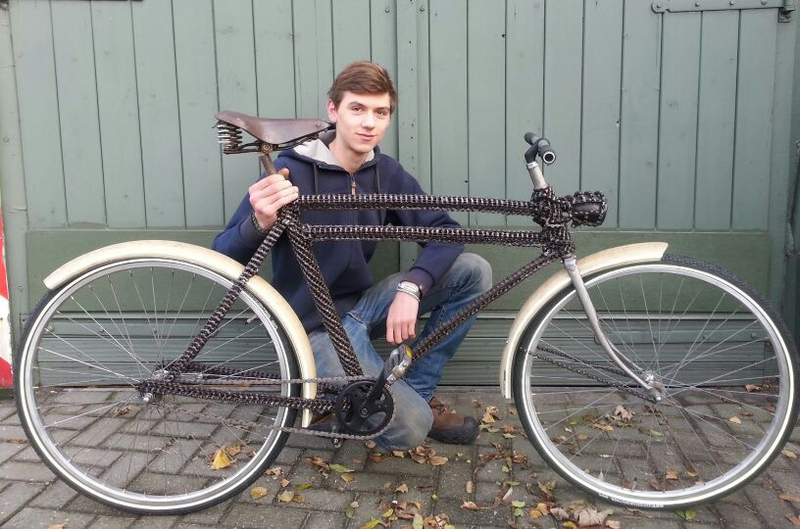 The chain bike project started with the idea to create a bike with a frame entirely made from used bicycle chains. 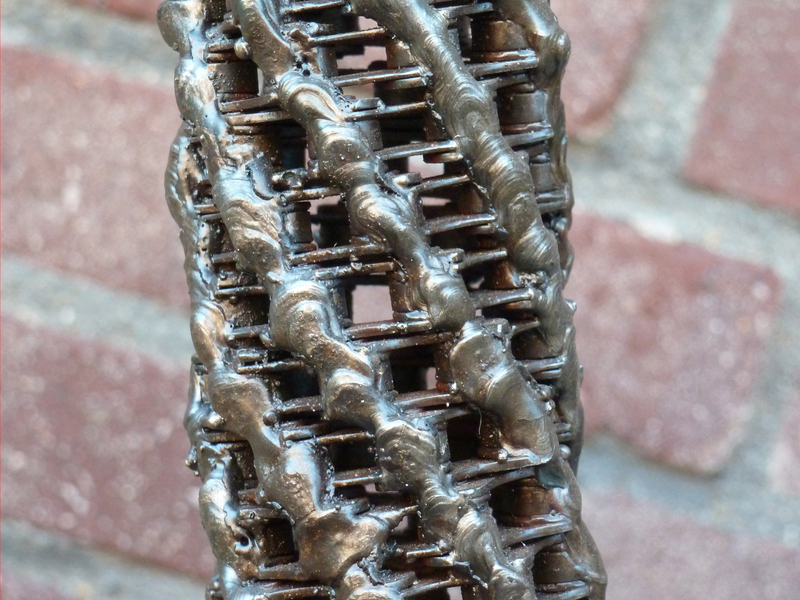 I needed to weld every link together, shaping the chains into different types of tubes which I later put together to create a bike frame. 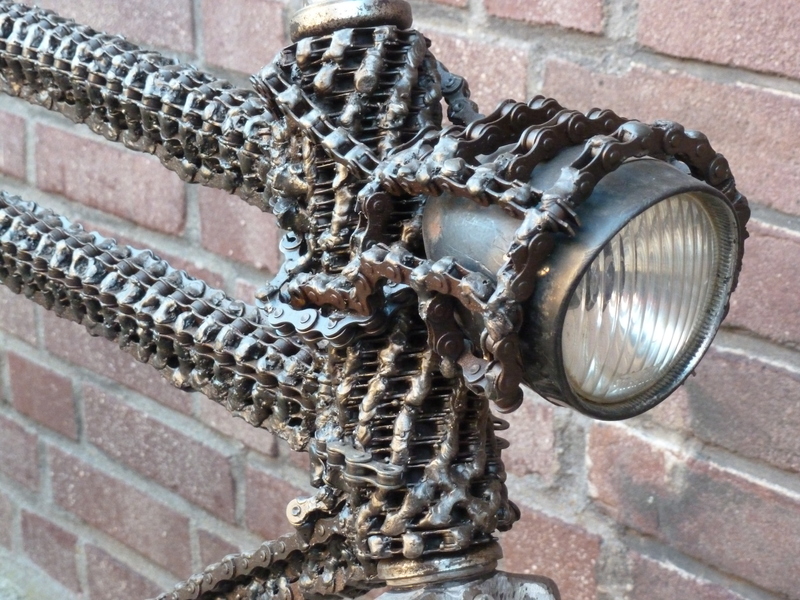 The bike contains approximately 30 chains and 5 kilos of welding electrodes. In two months I completed the bike and yes I can ride it!